Last week was "up" overall. Market started to lose "mo" by Thursday and closed mixed. I had projected lost "mo" by Wednesday and some weakness last 2 days of the week. I guess the question is - will we see new highs on SnP500? I see lots of comments regarding 2000 on SnP500. I suppose that could happen, but right now the high I see from my projections is 1905-1910 if we get a new high (I believe 2000 is aggressive given the mixed earnings/revenues being reported). I believe we could see some downside next week. The cycles are mixed with the longer cycle up and the shortest cycle down the first part of the week and up later in the week. The other 2 cycles are down. 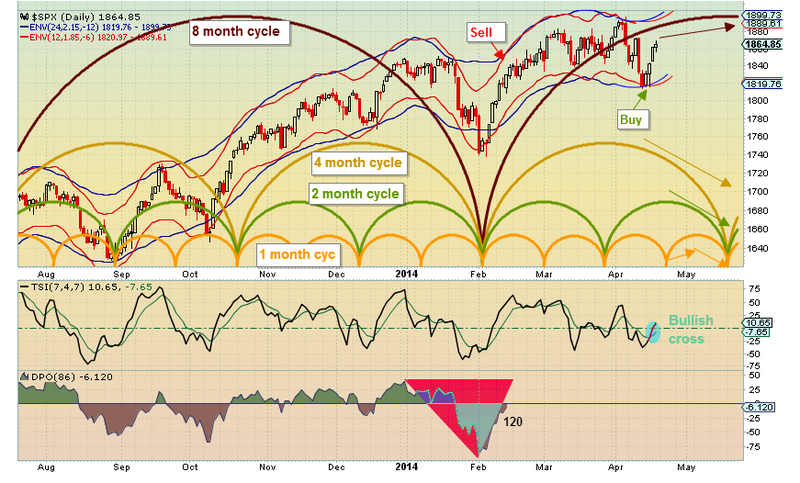 Overall, I believe the cycles setup favors a down week (1-2 %). I'm starting to look towards the FOMC Of June'18 as the next multi-week high. Looks like your two smallest cycles will be in sync with that idea. I'd agree, sp'2000 seems out of range, but certainly 1900s. I'd guess 1925/50 zone. Anything over that will be difficult.